Do you like Dubstep? Dance? or House Music? Then try the Dumb.com Beat Maker. 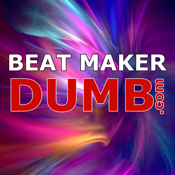 This app has 12 preloaded loops that you can mix and match to create a custom beat. This app is the perfect way to pass time when you have nothing else to do.